We welcome your comments or questions about this Policy. You may contact us in writing at [email protected] if you have any additional questions. On May 25th, 2018, the European Union’s (EU) General Data Protection Regulation (GDPR) goes into effect. GDPR gives individuals greater access to their personal information and control over how it is used. This new standard gives all EU residents a consistent approach to the protection of their data. GDPR applies to all organizations that collect, process, or store Personal Data about EU residents and to organizations that transfer or receive such information outside of the EU. 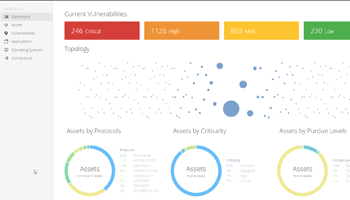 Tenable provides a suite of products for Cyber Exposure (including Vulnerability Management, Audits, and Policy Compliance assessments) which are hosted on the Tenable.io platform. Our role as a “Data Processor” as defined by GDPR is focused on Tenable.io; we do not store your Scan Data when you use our on-premise offerings such as SecurityCenter and Nessus Professional. The term “we” herein refers to “Tenable Network Security Ireland Limited”, “Tenable, Inc.”, or “Tenable Public Sector LLC” (depending on your jurisdiction). Tenable processes several types of data from customers to both manage customer relationships and satisfy contractual obligations. We also use this data to support the functionality of our product suite. We process information about you when you provide it to us and when you use our Services. You (the customer) are the “Data Controller” as defined by GDPR for the Personal Data relating to Data Subjects (typically, your employees) which resides on your networks. When you initiate a Scan on your data, you collect Scan Data based on what resides on your networks. You are the only one who knows (or is capable of knowing) to what extent Personal Data may or may not reside on your networks. If you collect Personal Data during a Scan and then store the Scan Data in Tenable.io through your use of our services, we act as a “Data Processor” as defined by GDPR. We only process Personal Data on your behalf when it satisfies a legitimate interest, such as providing customer support, feature personalization, or protecting the safety and security of our services. 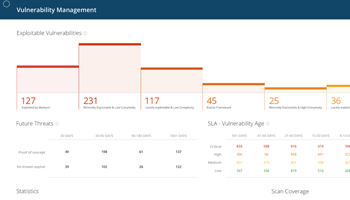 You have the option at any time to request that Personal Data not be collected when you use Tenable for vulnerability scans, audits, and policy compliance assessments. We refer to this as “Light Collection Mode”, described below. 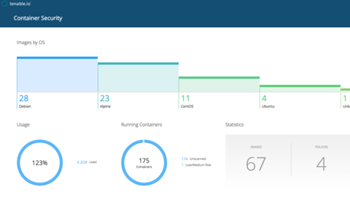 In addition, Tenable logs the IP address every time an Admin User logs into Tenable.io. Business contact information is used only by Tenable for essential customer service and support purposes. We take protecting your data seriously and we only use this Personal Data to satisfy our contractual obligations to you. We do not sell or disclose this information to any third party. Tenable collects Product Usage Telemetry data about how you interact with the Tenable.io Service. We analyze this data to troubleshoot technical issues and to improve or optimize our product design. Product Usage Telemetry Data does not contain Personal Data as defined by GDPR. 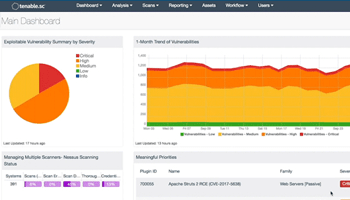 When you initiate a scan – for example, asset discovery, vulnerability assessment, audit, or Policy Compliance scans – you also generate Scan Data . You conduct these scans using a “Scanner” situated within your environment. We store your Scan Data in the Tenable.io Cloud Service. Only your Admin Users can access your Scan Data. 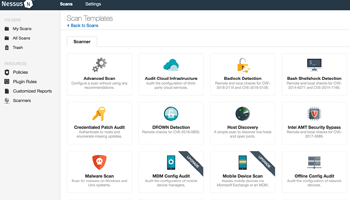 The Nessus plugins you select determine the scope of your Scan Data. The return values of all plugins are aggregated and constitute the resulting “Scan Data”. Scan Data is confidential because it contains information about to your assets, their configuration and policy settings, and potential vulnerabilities. It is possible that a subset of your Scan Data may contain Personal Data -- such as IP-addresses, usernames, and email addresses -- as necessary to help you with remediation. In this case, Tenable stores this Personal Data in Tenable.io. As such, we act as a Data Processor and our Data Protection Addendum (DPA) applies. You are the only party that knows or is capable of knowing what Personal Data resides in your environment and what could be included in the Scan Data. You collect Scan Data for your own use. Tenable stores it and makes it available to you via Tenable.io. We process Scan Data on your behalf to provide reports on topics such as vulnerability management, analysis, audits, and policy compliance. We anonymize and aggregate a subset of the Scan Data to generate insights about product usage, end user behavior, vulnerability prevalence, and general service and product trends. We may use Scan Data to generate aggregated, anonymized benchmarking metrics to eventually provide new service features, research white papers, and studies. None of these metrics can be directly linked back to a specific customer and do not include any Personal Data. We take securing and protecting your data very seriously and follow industry leading practices to safeguard it. We deploy multiple layers of data security measures including, but not limited to, Amazon’s Data encryption capabilities - specifically, Amazon Server Site encryption and Amazon’s Key Management Service. While we follow industry leading practices and implement safeguards and measures designed to protect your information, no security system is impenetrable. We cannot guarantee that your data is absolutely safe from intrusion by others. That’s why we have implemented an Incident Response Program, and in the case of any potential breach that has implications for GDPR, we follow the GDPR Data Breach Notification regulations to ensure that your rights are protected. Our data retention policies vary across the the various data types and the purpose for which they are processed. Read on for more detail. We retain the information for your Admin Users for as long as you remain a Tenable customer or until you remove selected Admin User accounts. If you sever your customer relationship with Tenable, we delete the entire Tenable.io container with both your Scan Data and Admin User data. We make exceptions for certain Customers to resolve disputes, enforce contractual agreements, support business operations or fulfil legal obligations. For your use and to meet regulatory requirements, we retain your Scan Data for the default time periods outlined below. Primary Admin Users can add, delete, and correct Personal Data about themselves or other Admin Users in the Tenable.io user configuration. You control your organization’s data and may receive requests from data subjects who wish to exercise their rights under GDPR. Tenable can help you fulfill requests to confirm, correct, or delete such Personal Data upon request. We are also developing self-service capabilities so you can handle these requests autonomously. As mentioned above, Tenable offers customers the option to use our Light Collection Mode to minimize the Personal Data collected by Plug-ins during Scans. In Light Collection Mode, our plugins anonymize Personal Data so that it is not collected or stored in Tenable.io. Plugins return data as necessary to describe the state or configuration of the asset for during various types of scans. In some cases, Personal Data is critical information for subsequent assessments and/or remediation. Anonymization permanently and irreversibly modifies elements of Personal Data when you collect them. This means Tenable never processes the original value of the Personal Data. In certain circumstances, you may introduce Personal Data to Tenable.io without our knowledge. Should this happen, we will not anonymize such data and you will be responsible for such data. You can develop your own Plug-ins for Scans. When running your own Plug-ins, the Scan Data results are stored in Tenable.io. This Scan Data may contain Personal Data. You may import external data through APIs from third parties into Tenable.io containing Personal Data. We share certain information with third-party service providers such as hosting services, storage, or virtual infrastructure vendors. These companies help us to operate and process your data to improve and customize your user experience. Any third-party service provider that is required to process your information must do so under our instruction. We require all of these vendors to be GDPR compliant and to protect your information through the appropriate policies and procedures. For a list of our Sub-processors, click here.